New Launches, Future Cars, Stunts and Food-Extravaganza Keeps Audience Enthralled at Auto Expo 2018! Saturday being a weekend witnessed heavy influx of visitors thronging to catch a glimpse of latest innovations in the field of automobile sector. Long queues were witnessed at entry point of Pavilion 9, which has pavilions of Tata Motors, BMW and Mercedes. There was lot of curiosity among visitors to catch a glimpse of new launches from these luxury brands. In hall 9, large number of visitors thronged to Maruti pavilion to try their hands at all new swift which was launched day before yesterday. Maruti officials claimed that they are receiving large number of enquiries regarding this new upgraded product and since after the booking started in last month, 40,000 bookings have already been made. There are plethora of activities planned for and simultaneously taking place at Auto Expo 2018. 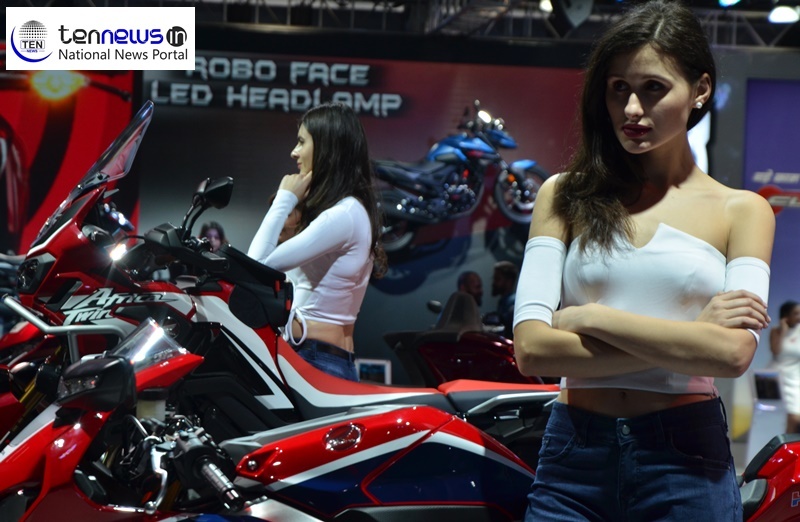 The activity area near Gate number 12 of Expo mart has been occupied by Honda, Hero, Yamaha and JK Tyres to showcase different bike and car stunts along with imparting safe driving tips. Large crowds particularly comprising of youth remained glued at these places to catch a glimpse of different stunts. While Sachin, Shahrukh, Sonakshi and many other renowned celebrities have already visited the expo in previous days. On Saturday Taapsee Pannu visited Honda Two Wheeler stall to initiate safe driving campaign. Akshay is also schedule to visit the expo once again on Sunday. Akshay Kumar to enthrall crowd at #AutoExpo2018 tomorrow!